Sierra Lifestyle, a lifestyle brand that fully captures the wonder and excitement of mountain adventures through rugged, functional outdoor gear designed to enhance the outdoor experience, and lifestyle design products that bring the Sierra lifestyle home, has launched a new round of financing on Fundable. Sierra Lifestyle has recently launched a new round of $3M on Fundable. Its campaign on CrowdFunder has reservations for over $900,000 in convertible notes. “We are onto something special,” added Phil. “Sierra Lifestyle is different from the national chain stores because our stores maintain the character, tradition and expertise developed over decades by local owners. 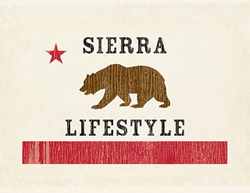 By bringing small, capable outdoor retail stores under the Sierra Lifestyle umbrella, we can fully modernize their workflows and optimize efficiency, all while retaining the local ambiance, branding and level of expertise that are so crucial to the success of these local stores and trust among their clientele." In addition to renting and purchasing skiing, snowboarding, fishing, biking and camping gear, customers can relive the spirit of the Sierra with our cozy home décor line. Sierra's concierge and tour service, including guided tours, is right on the mark for those who want to dive right into the Sierra Lifestyle experience. “We are in a strong position to achieve our 2016 revenue and acquisition goals,” said Ray Valdez, CFO of Sierra Lifestyle, who has vast experience in both private and public retail companies. “We intend to undertake a series of acquisitions, launch new online stores and complete a Regulation A+ offering this year," added Ray. Hired Fox Rothschild as a securities firm to manage capital raising initiatives and investor offerings. Click here to view the campaign on Fundable. No money or other consideration is being solicited or accepted in relation to the Regulation A+ offering at this time. Offers to buy securities of Sierra Lifestyle cannot be accepted, and no part of any purchase price can be received, until a Form 1-A Registration Statement is qualified by the U.S. Securities and Exchange Commission, and any offer may be withdrawn or revoked at any time before notice of its acceptance is given after the qualification date. An indication of interest on behalf of a potential investor involves no obligation or commitment of any kind.